We’re living in the future, y’all. 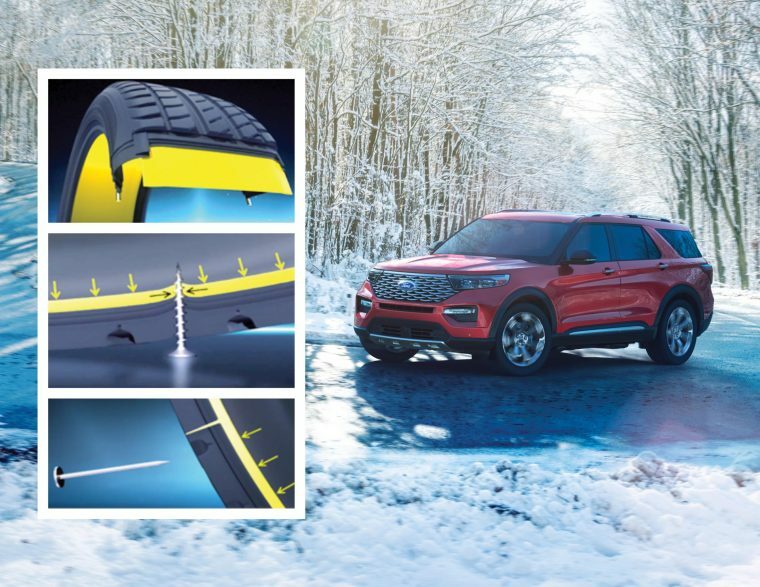 Ford has revealed that will Michelin Selfseal tires are available for the upcoming 2020 Ford Explorer. Standard for the 4WD Explorer Platinum and Explorer Limited Hybrid and available for the 2WD and 4WD Explorer Limited, these tires boast a rubber sealant that closes up to 90 percent of quarter-inch-diameter tread punctures, cutting the loss of air from a puncture to about 15 psi per week. This marks the first time that these innovative tires will be offered on any vehicle. It’s worth noting that Michelin Selfseal tires are more or less intended to allow drivers to safely continue on after a puncture when absolutely necessary. The sealant, while effective, does not stop air loss completely. You’ll still need to take it in to be inspected and repaired eventually, but you can at least get along with your journey without fear of lost time or lost control. The upcoming 2020 Ford Explorer promises to be the most impressive of its kind thanks not just to more tech and a new design, but also with the addition of the new Limited Hybrid and performance-oriented ST variant. It’s also gonna be super duper quiet.